« New Way to Follow Traffic Calming Ideas! Theory says that drivers are more likely to keep to the speed limit when they are reminded of their true speed. The police often use temporary ‘Speed limit….Your speed is…..’ radar controlled speed limit signs on roads where speeding is prevalent but permanent radar controlled speed limit signs are not very common in the USA unlike some other countries. Some objections center around cost and the addition of more street furniture. 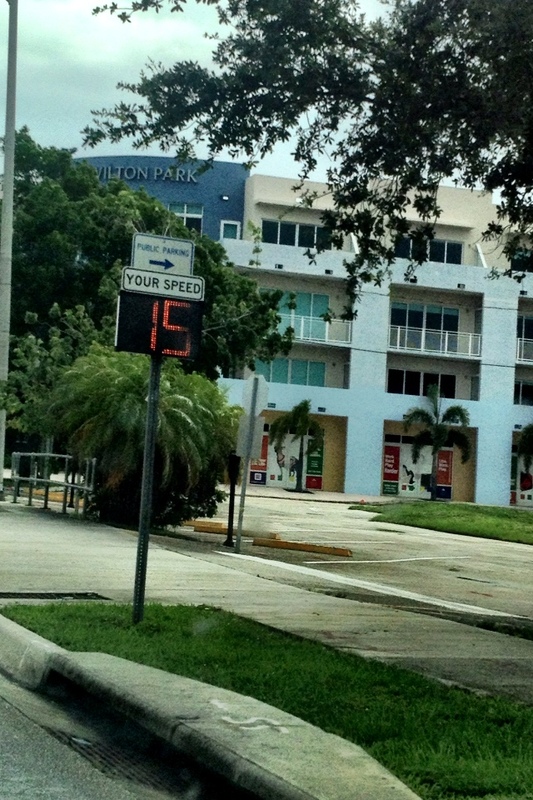 Here’s a photo of a simple and neat radar speed limit sign installation that could be more widely used. I believe these could be installed as one of the first traffic calming measures where high speeding levels have been documented. PS. Don’t forget to follow me on Instagram now! This entry was posted on August 23, 2013 at 5:40 pm and is filed under Uncategorized. You can follow any responses to this entry through the RSS 2.0 feed. You can leave a response, or trackback from your own site.